Customers of a popular Brighton boozer were shocked to learn the pub was closing this week – but its owners say it should reopen soon after being sold to another city pubco. 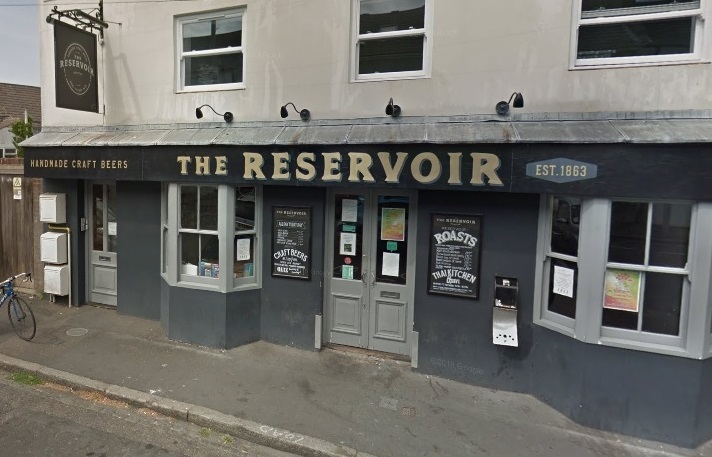 Staff at The Reservoir in Howard Street, Hanover, posted on Facebook yesterday that it would be closing its doors “for the very last time” on Saturday. But owners Indigo Leisure say it is being sold to another Brighton pub operator and should reopen after a refurb. The Facebook post said: “It is with regret that we must announce that The Reservoir will close its doors for the very last time this Saturday. “Thank you to anybody who has had a drink with us, eaten here or worked with us over the years – every day has been a pleasure! “Please come and have one last Thai meal and a pint with us before the weekend. And pop in to say goodbye to the (terrific) staff. “Thank you all once again and sorry we have to say goodbye! Director of Indigo Leisure Jon Wilson said: “We have had nine great years at the Reservoir, but the time has come to move on and let someone else try something new. Last year, fears were raised that another nearby Indigo Pub, The Hanover, was at risk of closure after the freeholders resubmitted an application to demolish it. But the freeholders said there were no immediate plans for this, and Mr Wilson today said Indigo expected to be at “the thriving and popular pub” for many years to come. Meanwhile, a third Hanover pub, the Setting Sun, is currently closed for a lengthy refurb, although plans to build a rear extension over its famous patio have been withdrawn. Its new owners Punch Taverns were this month granted permission to open from 8am to serve breakfast, with alcohol served from 10am.